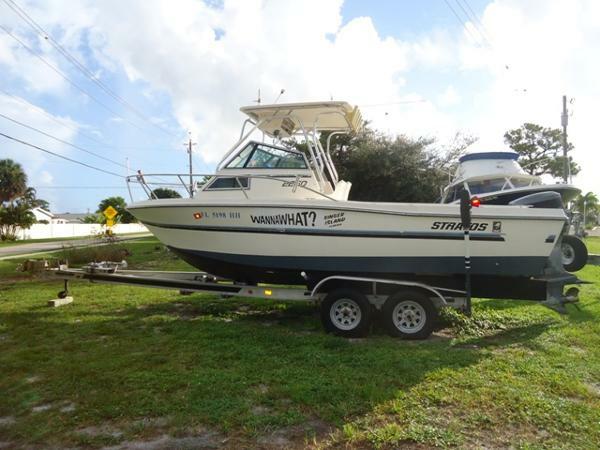 1993 Stratos 2250 Walkaround Powered by a 1998 Yamaha 250 hp 2 Stroke outboard engine that runs. Engine only has 320 hours! This boat is very solid and is ready to take you boating today. 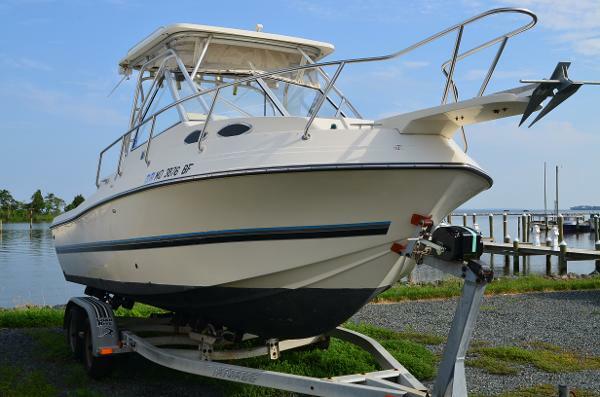 She has an aluminum framed hardtop with rocket launchers, sleeping for 2 adults, a huge fishing cockpit, vhf radio, hydraulic steering and more. Interior/Exterior upholstery are both in very good condition. Hull condition is very good. Deck condition is solid. Currently is sitting on a trailer that is not for sale. Come by a take a look. This is one nice Stratos!